A square-shaped silver mount, embellished with three natural shell stripes, is a definite must in your collection! Grab the attention of the people that surround you with this remarkable pair of cufflinks that is made out of the highest quality abalone shells and set on rhodium-plated mount. The diversity of the model makes this pair of cufflinks a unique one, with turquoise and green reflections that attract the eye. The process in which this pair is made allows the craftsmen to choose the most suitable pieces of abalone and place them meticulously on the silver mount. 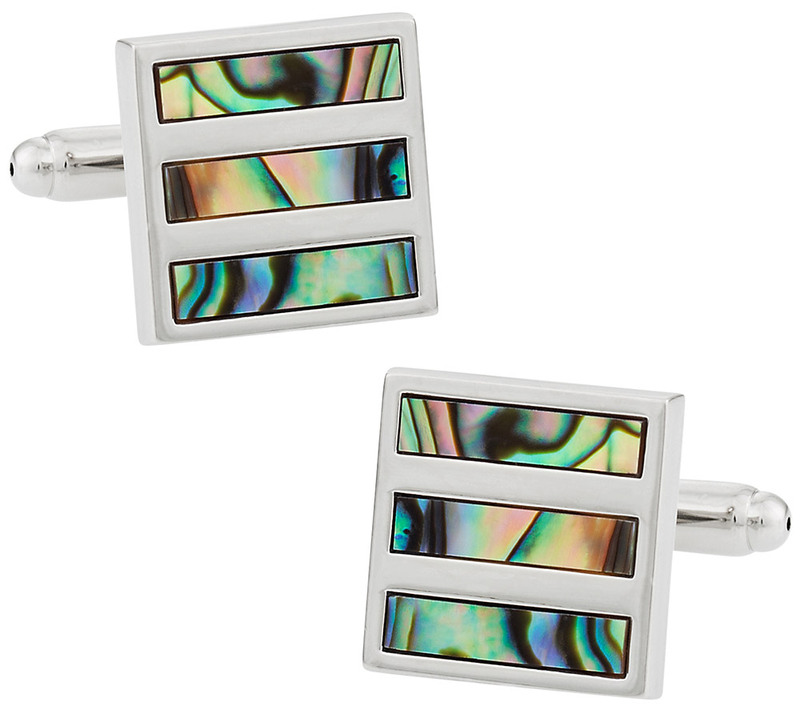 I think these abalone cufflinks are wonderful way to add an intriguing shine to a black tuxedo or a dark business suit.